The Face Shop is a well-known brand in Korea. Few months back they launched their products in India. I really wanted to try one from their varied collection so I decided to try their skincare first. 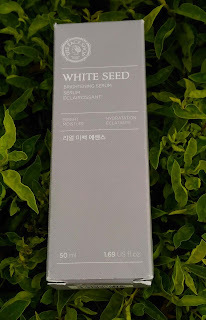 I laid my hands on The Face Shop White Seed Brightening Serum and this is the product I will review for you all. 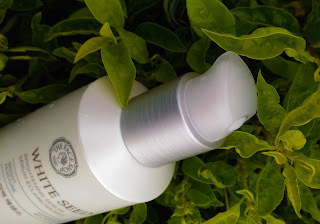 Packaging – The bottle is in cream-white colour and looks good on vanity table. It has a pump on top with a white translucent cap to protect it. The face shop serum is travel friendly as well. I am using a 50ml packaging bottle but it feels like I have much more product in that bottle (I know it sounds weird but that’s what I felt). The serum is light in texture, spreads easily on skin and penetrates well. One pump is sufficient for my oily skin for each time. I am using The Face Shop Serum or face gel this summer instead of face creams. The serum keeps my skin hydrated and moisturized for long. I have noticed visible difference in my skin tone after its regular usage. My skin looks radiant and it has also reduced my dark spots and blemishes. I was so impressed with this serum that I decided to experiment this by using it as primer. Trust me it works as a great primer. 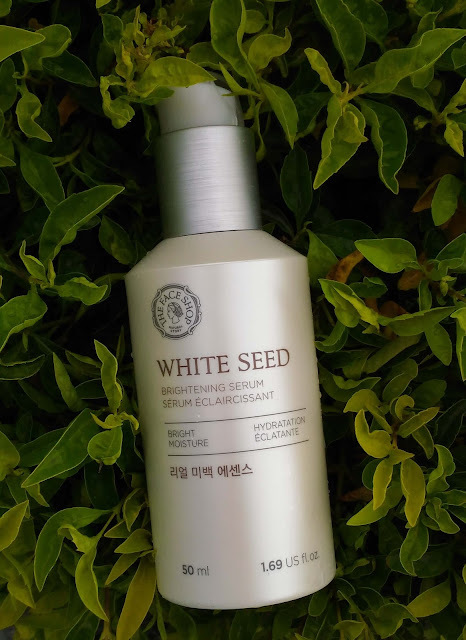 Now with The Face Shop White Seed Brightening Serum I don’t have to invest in a primer or a face cream (2 in 1 job yeyyyy). By altering the quantity this serum can be used for all skin types. This is boon for oily skin people as in summer we need something that feels really light on skin and also keeps our skin hydrated for long. I will definitely reinvest in this serum. The 130ml is priced at Rs. 1,690 but you can buy at a discount here (for Rs. 1,352). It is expensive but when you will compare this to Votre serum price (Rs. 1670 for 12ml) than this is definitely value for money. A serum is always on expensive side because the ingredients extracts are more in a serum in comparison to any other cream, gel. This product is worth investing in if you can afford it. If you are looking for a different product which is affordable as well as makes your skin bright and clear than try this face gel.